The Bed and Breakfast Sant’ Elmo has two rooms available: “The White Room” with king size bed and “The Blue Room” with queen size bed. 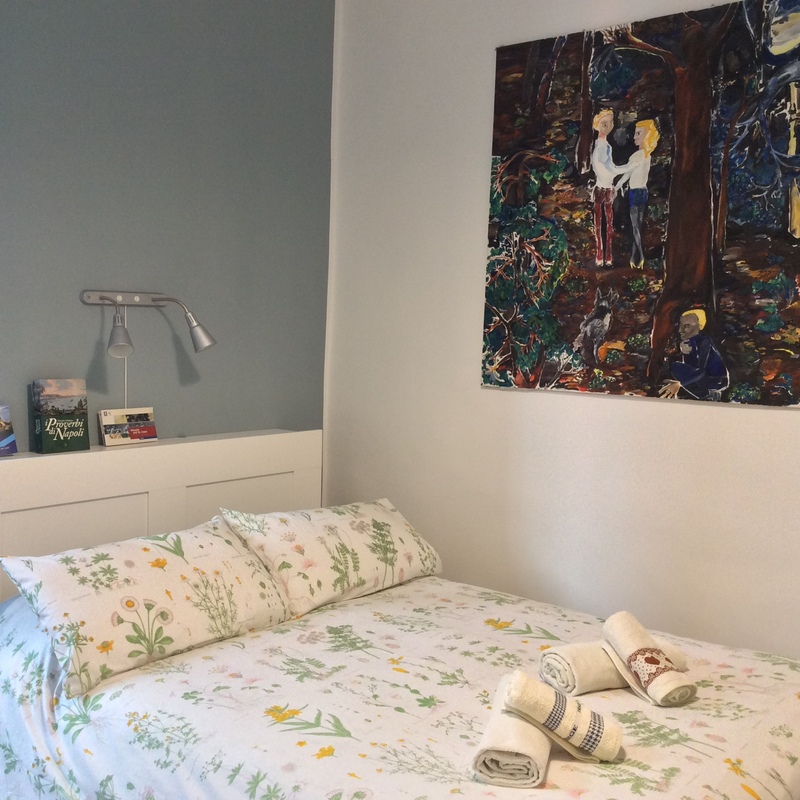 The rooms are spacious, bright and quiet with windows and comfortably furnished. In-room TV, internet (good connection). 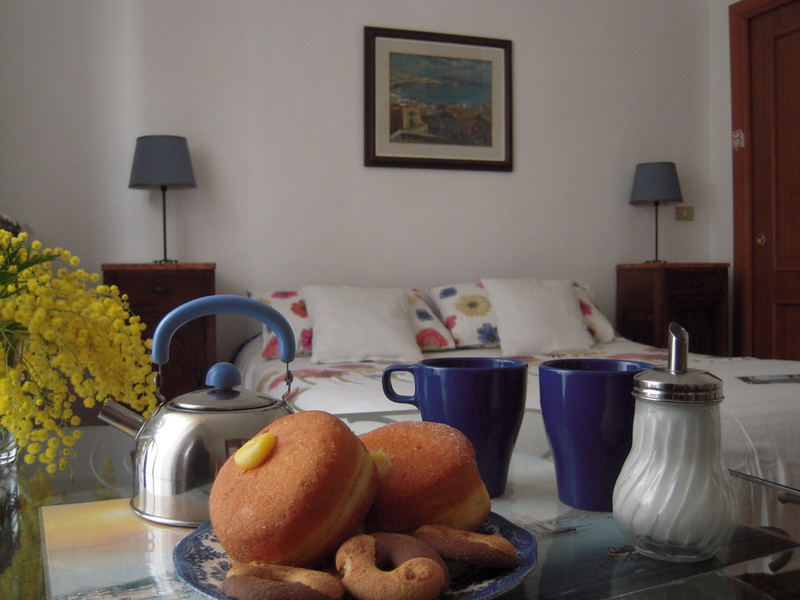 Breakfast is served in your room and is adaptable according to your preference. The comfortable bathroom (outside of the rooms) is shared. Fresh towels, and soaps come with the room and a hair dryer is available for your use. The B&B is located at 3rd floor of a palace of ‘900 in the historical center of the city. Un Grazie di Cuore a tutti i miei ospiti! !